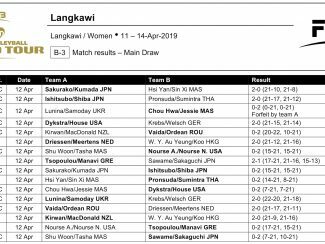 Ishitsubo and Shiba gained momentum from their 2-0 (21-17, 21-12) win over Thailand’s Pronsuda Kritsana and Sumintra Sow in the first round to beat their fellow nationals 2-0 (21-15, 21-15) in Pool A. In Pool B, Battambang 1-star gold medallists Lara Dykstra and Cassie House kept their winning run going with two straight-set wins. 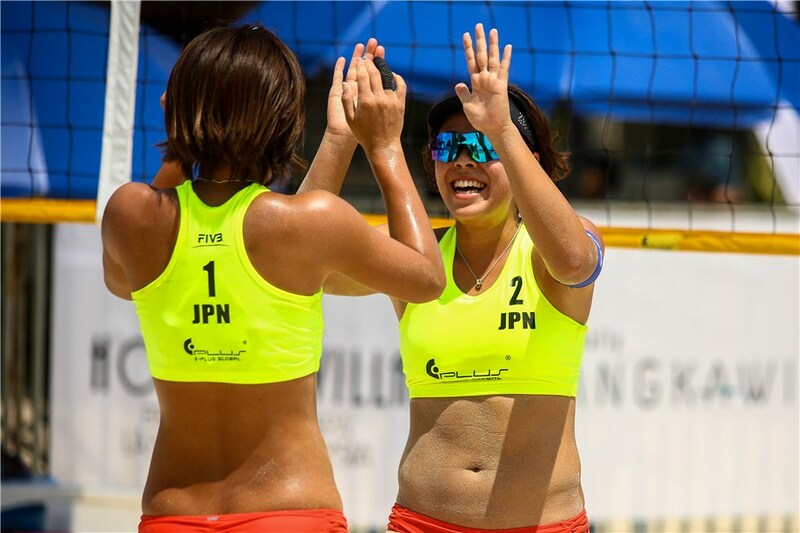 The American duo defeated Germany’s Anika Krebs and Leonie Welsch 2-0 (21-15, 21-14) and Malaysia’s Chou Hwa Chia and Jessie Lai 2-0 (21-7, 21-17). Romanian pair Beata Vaida and Ioana-Alexandra Ordean was the third team in pool play to win both their matches in straight sets. They dominated in Pool C with a 2-0 (22-20, 21-10) triumph against New Zealand’s Francesca Kirwan and Olivia MacDonald and a 2-0 (21-17, 21-11) victory over the Netherlands’ Annemieke Driessen and Ilke Meertens. 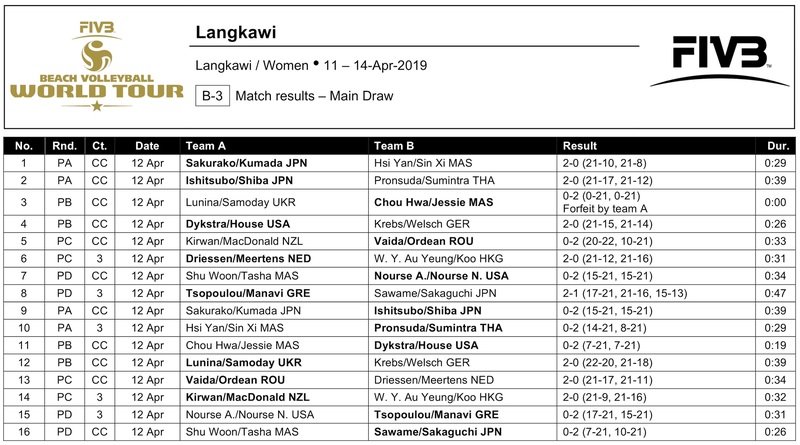 Greece’s Konstantina Tsopoulou and Dimitra Manavi succeded to win Pool D, following their victories over Japan’s Mayu Sawame and Yurika Sakaguchi 2-1 (17-21, 21-16, 15-13) and USA’s Audrey and Nicole Nourse 2-0 (21-17, 21-15), respectively.